HomeBlogRefinishing and RestorationsHow Much Does Furniture Refinishing Cost? How Much Does Furniture Refinishing Cost? Wear and tear is normal for furniture. Eventually, there may come a time you need furniture refinishing to restore or repair your furniture and make it as good as new. It is best to leave refinishing to the professionals, especially when dealing with antique furniture. Damage – The damage to the piece of furniture and assessing necessary repairs is the first step. The more repairs the furniture item needs, the more the refinishing process will cost. Size – If you have a large piece of furniture, it will cost more than a small piece, because it takes more supplies and time. Finish – The finish you choose for your refinishing project can dramatically impact the price. If you plan on changing the entire look, you can expect to pay more than if you are simply restoring it to its original look. Age – The older the furniture or if it is an antique, the more it will cost. That is because the company doing the restorations must take extra care with the wood and hardware in order to preserve the integrity of the piece. The price of furniture refinishing is also based on the expertise of the company performing the furniture repairs. Carrocel is your local expert in furniture restoration. 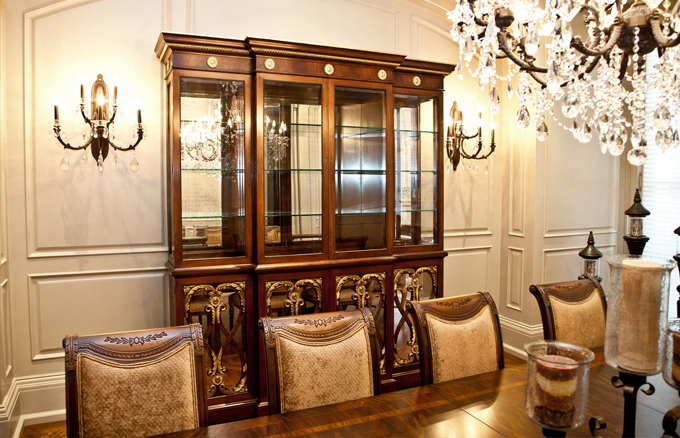 Our team appreciates the beauty of handmade, classic furniture and we take our time restoring your pieces. Looking for furniture refinishing services? Our expert artisans will treat your furniture as if it were our own. Visit our showroom or call us today at 416-999-2525. I have a dining room table and 6 chairs that need refinishing and the chair seats reupholstered. I was told it is a Gibbard walnut set from the 20’s. The table seats 6 and has 2 leaves. A couple of questions. Do you pick up? we are just north of Newmarket. Do you dip your furniture to remove the finish? Hello Maggie, we have emailed you some detailed information on how we can proceed with restorations. Hey I have a dinning room table set from the mid 70s – 80s it is 68×48, plus a 24 in leaf. it has 6 chairs, could you give me a quote for the refinishing cost? Please can you email me with a ball park figure for a range of furniture items (from a chair, coffee table to a dresser) based on the item not needing any repairs and being finished in a distressed manor.